Opened in 1851, this was the first school of higher learning in rural Tippecanoe County, built by Society of Friends (Quakers) of this neighborhood. Enrollment included local, non-local and youth of other states. Primary through collegiate preparatory courses were offered. The library was large and of exceptional quality. Some foremost educators of that day taught here. Non-local youths lived in a large boarding house for $1.00 per week. Successful operation ceased in 1874, when the building became the Meeting House. In 1882 a subscription academy was opened on the second floor, became a township school, and continued until 1888. Today it remains as the local Meeting House. Located in Union Township on county road 660 S.
are both of old Quaker stock, having come to America in the time of William Penn, the Hawkins family having sailed on "The Welcome" with Penn on his second voyage in 1682. They and the Hollingsworths settled in the area of the "Lower Three Counties" - otherwise known today as the State of Delaware. The Hollingsworths were descendants of Valentine Hollingsworth, founder of the family in the United States. He came to America in 1682 and occupied a high position in William Penn's government of Pennsylvania. In the 1700's, some members of the two families and some of their children moved on into Maryland, Pennsylvania, Virginia, and down the Valley of Virginia to the Carolinas, more specifically, the Union Co. area. of South Carolina. The founders have lived on farms in Butler Co., Ohio, in the vicinity of Hamilton. They had all been members of the Elk Monthly Meeting of Friends, at West Elkton, just over the line in what is now Preble Co., Ohio. These pioneers reached Tippecanoe County about 1828. They had to travel the wilderness roads of their day, called traces. 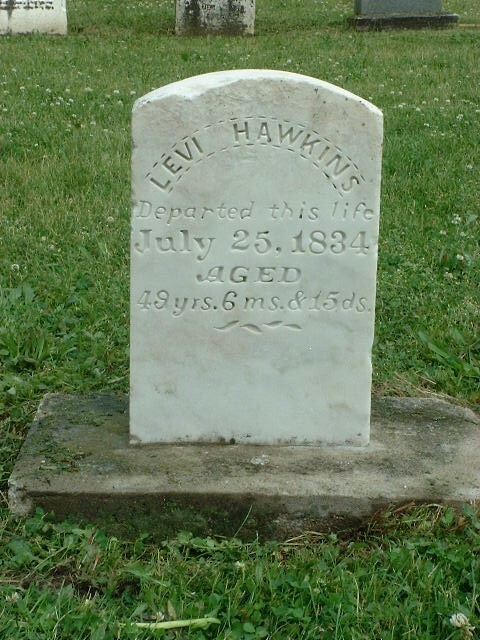 This group of Friends consisted of three Hawkins brothers, Joseph, James and Levi and their sister Hannah Hawkins Hollingsworth and the two Hollingsworth brothers, Joseph and William, together with their families. Aged 49 ys. 6 ms. 15 ds. 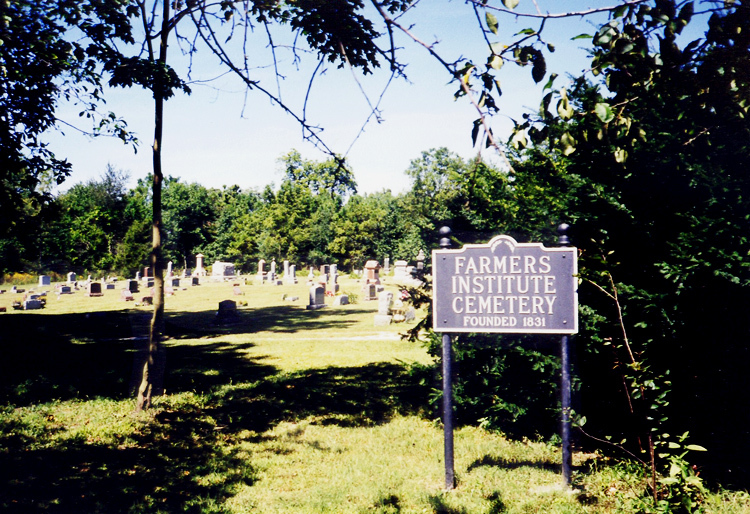 Farmer's Institute Cemetery, Founded 1831. Located at county road 660 S. and 375 W.